I've had the pleasure of serving as Photo Reporter for The Silhouette, McMaster University's official newspaper, with an audience of more than 22,000 students. 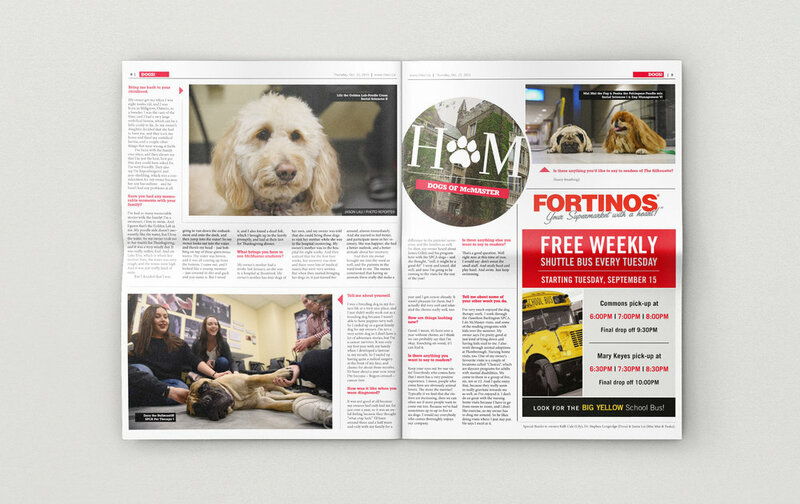 At the beginning of my term, I created and introduced the official brand of the paper's student life section named "Humans of McMaster" (inspired by Brandon Stanton's Humans of New York); previously it was named "Around Campus". Cross-publishing our content on Facebook, our Facebook page has now surpassed 8,000 followers. During my term, I utilized an ethnographic approach on the McMaster University campus to seek out photojournalistic content for HoM every week. This included individual and group interviews with students and staff all across campus. 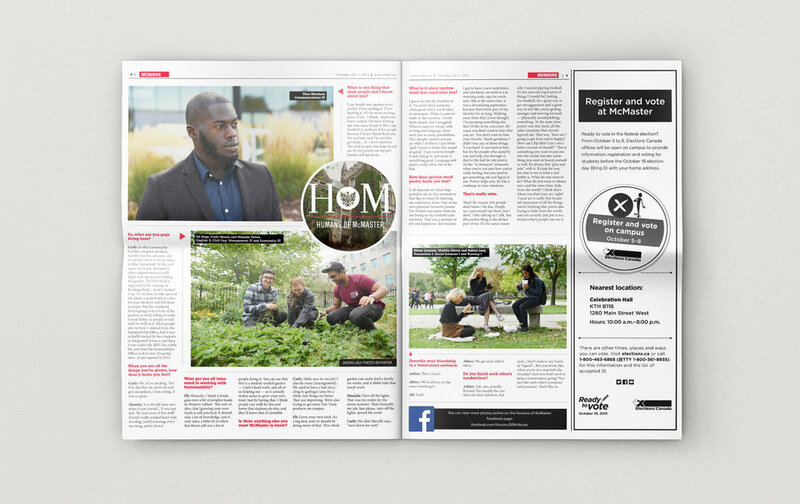 With the Humans of McMaster (HoM) brand established, I was able to create special edition features with the aim of exploring interesting, insightful and niche topics around campus. (3) A photojournalistic news story on a noteworthy fundraising event held by the Assyrian Chaldean Syriac Student Union (ACSSU) on campus.